Studen'ts will be able to map business processes using Business Process Model and Notation (BPMN) 2.0. BPMN is an internationally recognised standard for documenting business processes. No previous knowledge of Business Process Model and Notation is required. After taking this course you will increase your value to organisations by having the skill required to model great business processes using BPMN 2.0. Perfect for beginners, this course will also be of interest to existing BPMN modelers who just need a bit of a brush up on the fundamentals. This course takes the format of lecture and tutorial. After each new concept is introduced it is followed by practical application. You can follow along and replay the videos as much as you need, or just jump to a particular section in order to recap on a particular element. Multiple choice questions and practical exercises using real word examples ensure that your BPMN journey is a rich and rewarding experience. You can rest assured that you are in safe hands with the knowledge that your instructor has taught BPMN to hundreds of people from countries all around the world, to companies with more than 40,000 employees and to consultants from organisations such as KPMG. I use Signavio as the modeling tool of choice for this course. However, BPMN is tool agnostic so you can follow along with whatever tool you wish, some of which will be discussed in one of the earlier lectures. 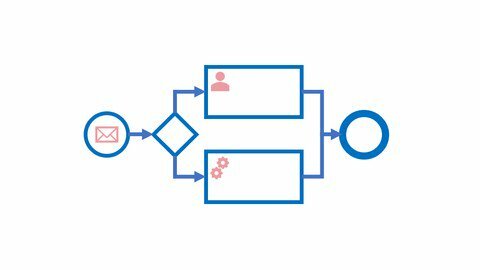 This course is designed for people new to BPMN 2.0 and for those who may be currently using BPMN 2.0 but would like a refreseher.